At 22, Sylvie Carson has known a lifetime's worth of trouble. When she was a child, her baby brother was shot to death by a man named Preacher Eli. Orphaned in her teens, Sylvie is now raising her own baby with no partner in sight. For all these reasons, Leah Teal, the only police detective in Alvin, Alabama, tries to be patient when Sylvie calls the station day and night, always with some new false alarm. But now, Preacher Eli is out of prison and moving back to town. As far as the law is concerned, the old man has paid his dues, although Leah's 12-year-old son, Abe, vehemently disagrees. Between that and his relentless curiosity about the daddy he hardly knew, Abe'simagination is running wild. While Leah struggles with how much of the past to reveal to Abe, she's also concerned about Sylvie's mounting panic. Something in her gut tells her the girl might be a target after all. For as Leah knows well, there's danger not just in the secrets others keep from us but in the lies that corrupt from within. It's a hunch that will be tested soon enough as tensions on both sides mount. 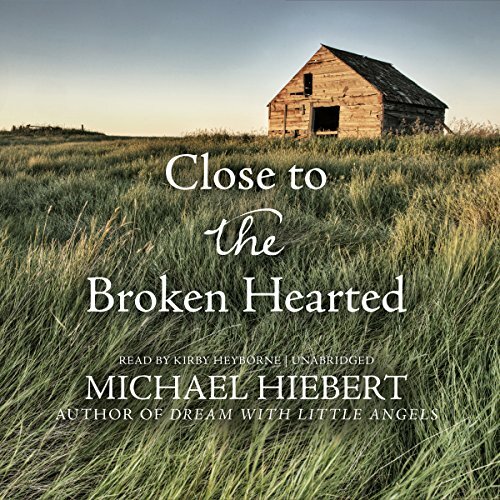 Evoking the South with depth and grace, Michael Hiebert's poignant, gripping novel captures the strength wrought by heartache and lost innocence - and the transformative power of forgiveness, wherever it comes. It was a good story but I found the narration a distraction . the story was compelling and I thought the characters well developed. Nice series so far, I like the family and mystery theme woven together. Although at times I feel the author trying to hard to try prove his thoughts about racism! As a black American reading this, it becomes frustrating because it takes away from the reality, and some statements actually do sound a little offensive. Otherwise it's a very good series that anyone who loves reading a good mystery fiction story can appreciate. looking forward to the next 2 books in the series.